The pain and discomfort of irritable bowel syndrome (IBS) can be debilitating. The urgency for obtaining relief is often complicated by the fact that the condition has a tendency to alternate between a range of symptoms. Fortunately, there are a wide variety of home remedies for IBS that are able to produce the much-needed relief you seek. Though effective at relieving symptoms, these remedies should not be considered all-inclusive cures. Keep in mind that some of the symptoms of IBS can be indicators of a more serious problem for which you need the advice and treatment of a healthcare professional. Gaining relief from IBS can come in the form of adding oat bran to your diet. Oat bran contains the necessary protein, vitamins and minerals to help nourish your body in a potent way, but it also contains a large amount of dietary fiber to help keep your bowels clear. Add 1 Tbsp of oat bran to your breakfast cereal, salad, smoothie, or yogurt on a daily basis. As an alternative, you can cook 1 part oat bran to two parts water for about 5 minutes and consume it whole. Be aware that the first several times you start eating oat bran you will experience gas a bloating, but these symptoms will subside as your body adjusts to it. Few herbs can bring the relaxation you seek like chamomile tea, and it makes an excellent IBS home remedy. The tannins in chamomile tea have antispasmodic properties to help bring relaxation and pain relief. In addition, chamomile is known to help reduce inflammation. Pour 1 ½ cups of boiling water over 2 tsp of dried chamomile flowers into a mug. Cover the mug and allow the flowers to steep for 15 minutes before straining out the tea. Add a little lemon juice and a dab of honey if desired. Drink this tea 3 times a day before or after meals. 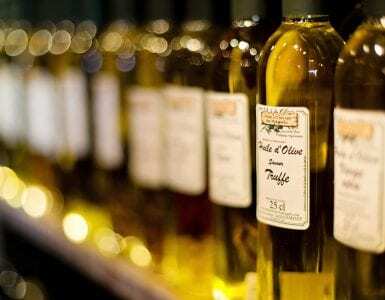 You might be all too familiar with the heaviness that comes from Italian cuisine. Well, that’s why there are fennel seeds and the reason why Italian recipes often include them. Fennel seeds are excellent at relieving a number of IBS symptoms like intestinal spasms and bloating, but their most significant role in digestion is eliminating the fats which inhibit the over-production of intestinal mucus associated with IBS. Crush or grind 1 tsp of fennel seeds and add them to a cup of boiling water. Cover and allow the seeds to steep for 10 minutes before straining out the tea. Drink this tea before or after meals. As an alternative, you can thoroughly chew and swallow 1 tsp of whole fennel seeds after meals to aid digestion. Another awesome herb for combating IBS discomfort is ginger. 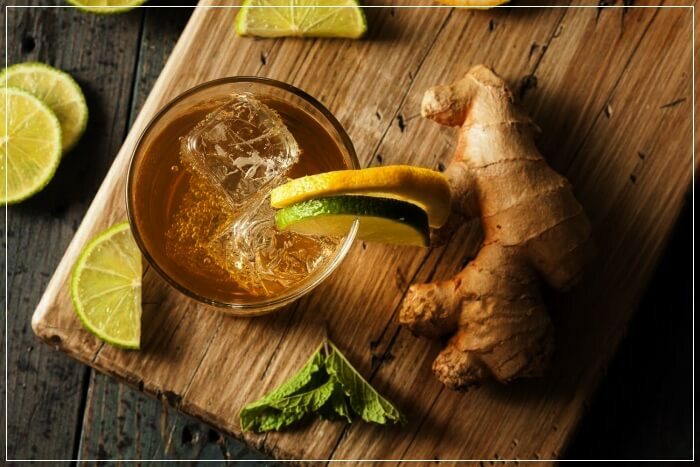 Ginger is effective at eliminating gas and bloating and also has potent anti-inflammatory properties to help bring pain relief and relax intestinal muscles. Peel and grate 1 tsp of fresh ginger or ½ tsp of powdered ginger into boiling water. Reduce heat and simmer for 5 to 7 minutes and then allow the tea to steep for 10 minutes longer. Add honey and lemon if desired and drink this tea before or after meals. An alternative is to peel a ½ inch finger of ginger, thoroughly chew and swallow it after meals. For those who suffer from the symptom of constipation in association with IBS, cabbage juice is an excellent home remedy to keep in mind. Cabbage juice contains sulfur and chlorine which help to cleanse the mucus membranes in your bowels, but its most potent property is its mild laxative effect for softening stools. Rinse and cut the fresh cabbage into small pieces. Place the pieces of cabbage in a blender or juicer to extract the juice. Strain out the pulp and drink 4 to 6 ounces of this juice 3 to 4 times daily when constipation hits. A fruit which is particularly effective in treating IBS symptoms is the banana. Bananas contain soluble fiber which helps to absorb the liquids in the intestines and reduces diarrhea. In addition, the potassium in bananas help to relieve bloating and gas. Eat 1 or 2 bananas daily to maintain healthy bowels. To treat diarrhea, mash 1 ripe banana and add 1 tsp of tamarind pulp and a pinch of salt to it. Consume this twice a day to stop diarrhea. An effective IBS home remedy for treating IBS symptoms, which alternate between constipation and diarrhea, can be found in carrot juice. Carrots contain pectin which helps to relieve either of these symptoms. Peel and place 3 or 4 carrots in a juicer to extract their juice or cook carrots to soften them before putting them in a blender and extracting their juice or just eat the puree. Add a few drops of lemon juice and a little bit of honey. Drink or eat 4 to 6 ounces of this juice 3 to 4 times daily. Though dairy is typically avoided by those suffering from the discomfort of IBS, yogurt, especially yogurt with live cultures, is a viable home remedy for relieving IBS. The friendly bacteria from live cultures help to provide a layer of protection to the intestinal walls and help to produce lactic acid, which flushes bacterial toxins out of your bowels. You can add unflavored, live culture yogurt to cereal or smoothies or just eat 6 to 8 ounces of it an hour after lunch and dinner. Don’t forget to consider adding a little oat bran to add more potency to this remedy. Flaxseed is another potent IBS home remedy for either constipation or diarrhea to keep in mind. Dietary fiber is in abundance in flaxseed, which helps keep your bowels clean, but it is the addition of omega-3 fatty acids which are most effective at supporting the digestive and immune systems. Thoroughly chew and swallow 1 Tbsp of flaxseeds followed by a glass of water daily. An alternative is to add 1 Tbsp of flaxseeds to a glass of water after dinner and allow them to soak for a couple of hours, drinking them before bedtime on a daily basis. Getting relief from cramps, bloating and diarrhea, which are common symptoms of IBS, can be achieved using peppermint. 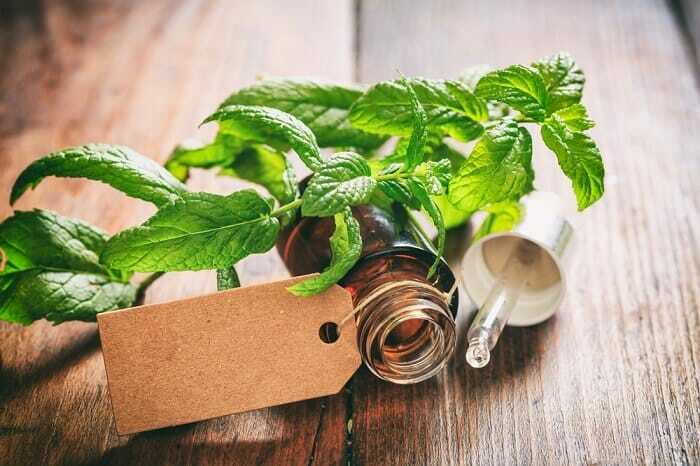 Besides the antispasmodics found in peppermint, it tends to assist in the process of passing food through the digestive tract in a gentle manner. You can make tea using 1 Tbsp of fresh peppermint leaves or 1 tsp of dried peppermint to 1 ½ cups of boiling water. Cover and allow the tea to steep for 10 minutes before drinking. An alternate method of making peppermint tea is to add 3 to 4 drops of peppermint essential oil to a cup of hot water. Drink either of these 3 time daily, but do not exceed that amount as excessive consumption of peppermint can result in loss of appetite and heart and nervous system disorders. A beneficial home remedy that is effective in treating IBS is exercise. A major factor in the cause of IBS is associated with stress. Exercise helps to release endorphins, which are a natural pain reliever, but it also helps increase blood circulation and stir up improved bowel activity. Non-competitive exercise like walking, cycling or swimming for 20 to 30 minutes 3 to 5 times per week are the simplest ways to get the exercise you need in order to get relief. Joining aerobics, stretching, yoga or martial arts classes can also produce great results. We just mentioned how stress plays a contributing role in the condition, so it stands to reason that learning to manage stress is an essential IBS home remedy. Reducing stress will not only relieve the symptoms but will likely eliminate all of the underlying causes of your bowel and gastrointestinal issues. Exercise, as we mentioned, is an effective means of controlling stress. Relaxation techniques are also of added benefit. Prayer and meditation can help reduce stress levels. In some cases, more drastic environmental or lifestyle changes (job changes, schedule changes, living area, etc.) might be in order. Another essential remedy for IBS includes drinking plenty of liquids. Your intestinal tract needs liquids to function properly. Staying away from beverages with large amounts of caffeine and alcohol have the most damaging effects, but sensible liquids, mostly water, help to keep your intestinal tract properly lubricated and also helps to flush out waste. Drinking a 12 oz. glass of water every 2 hours throughout the day is a great starting point. You can add freshly extracted fruit and vegetable juices and herbal teas to your sensible list as well. A very sensible liquid with tons of gut healing power is bone broth. Adding sensible sunlight to your daily routine is another excellent IBS home remedy to include. Vitamin D, which is acquired through exposure to sunlight, is an essential nutrient for proper organ functions including digestion. Though vitamin D3 can be obtained through a supplement, it is not as effective as that which your body can produce from sunlight. Fair-skinned people require about 10 minutes of sun exposure around midday in order to produce sufficient vitamin D from UV-B rays. Darker skinned persons need up to 10 minutes more. The UV-B rays are also weaker during the winter months, so extended exposure might be necessary during those months to achieve the same effect. Don’t overdo it or use sunblock after you’ve been exposed sufficiently in order to avoid the damage from the UV-A rays. It is likely that you are already familiar with the soothing properties of aloe vera used topically, but those same soothing properties can be used in treating IBS as well. Not only does aloe vera reduce inflammation and heal irritated and damaged intestinal walls, but it also has a gentle laxative effect to help clean out your bowels. 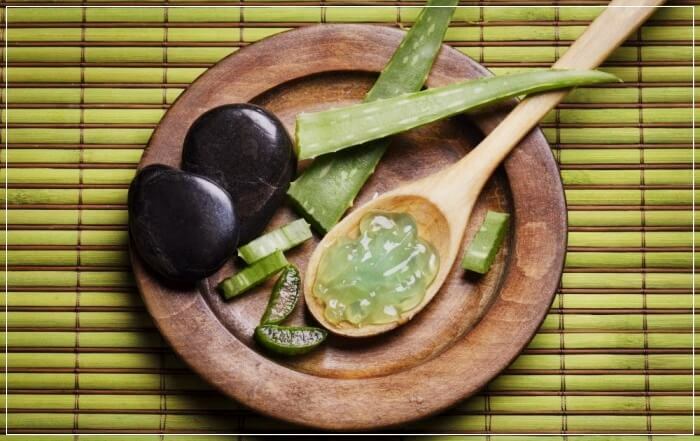 Another added benefit of aloe vera is that it inhibits the growth of yeast and malignant bacteria in the gut as well. The gel from fresh aloe vera shoots can be easily extracted by slicing open the shoot and scraping it out. Be sure to save only the clear gel and discard any that has a green tint. Add 1 or 2 tsp of the fresh gel to tea, juice or to enhance the potency of the water in your water bottle. Drink or consume 2 tsp of gel daily. The debilitating discomfort of IBS has a tendency to sour your entire outlook on life and keep you on the sidelines. Get relief and get back in the game by making use of one or several of the 15 home remedies for IBS that we’ve laid out above. 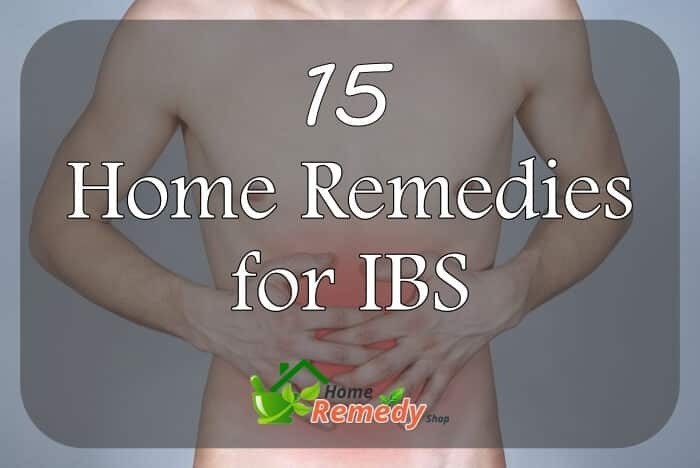 As always, be sure to add any questions, comments or successful IBS home remedies in the section provided below.